In Bye Sea, the ship's crew faces more than snarling sea creatures, treacherous waters—a “hungry god's-tongue of plunder and disarray” licks the edge of each page. The cartographer charts his homesickness; the deckhands watch bodies bob offshore; the captain challenged by “another captain with a bigger hat and feathers.” Impending doom haunts the crew—each turn of the ship's wheel threatens a knife to the throat—but the men aboard the ship in their isolation offer heartbreaking truths that stir inside us. 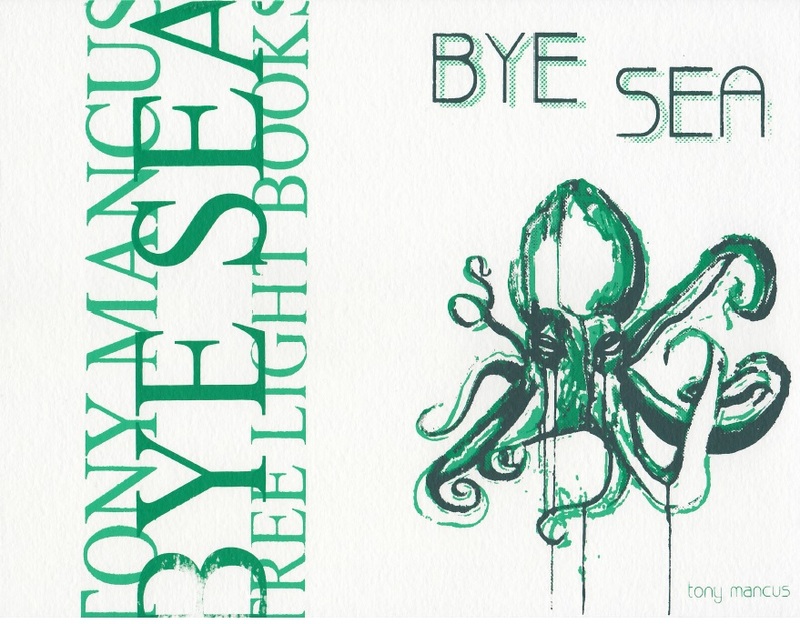 In Bye Sea, Tony Mancus writes with the wind at his back, hurling forceful and relentless language into the rising waves and anchoring us in a loneliness only he could navigate us through. Fall 2013.